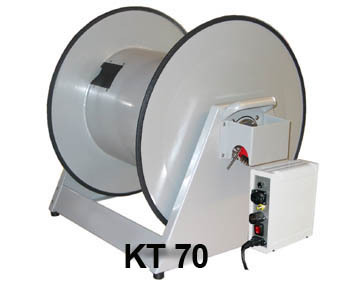 Portable winch made of painted aluminium plate for maximum 400 m Ø14 mm cable. Suitable for offshore & marine applications. A controller and/or an electric motor can be attached. 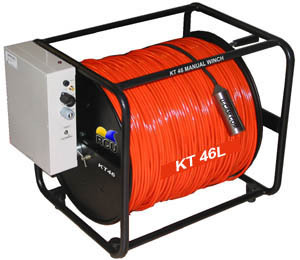 Portable and practical manual winch for maximum 300 m Ø9 mm cable. 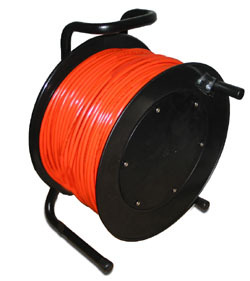 Sturdy cage winch with a capacity of 300 m of Ø9 mm cable, made of powder painted steel, for general use. A controller can be attached. Compact reel for max. 100 m Ø8 mm cable.